… before the snow comes tomorrow. Or the slush, or whatever it is. Twenty five cubic yards of mulch. A whole truck load. But, the place looks great again. 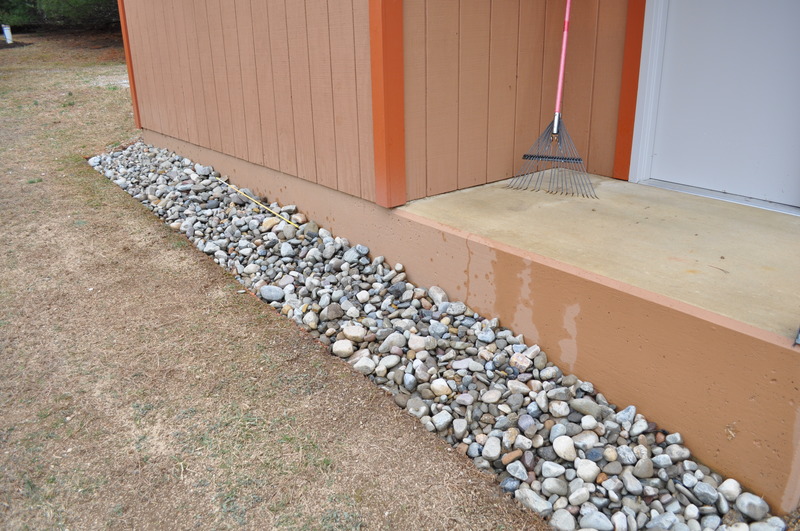 From a stormwater management standpoint we added river rock to prevent erosion on the side of the shed. 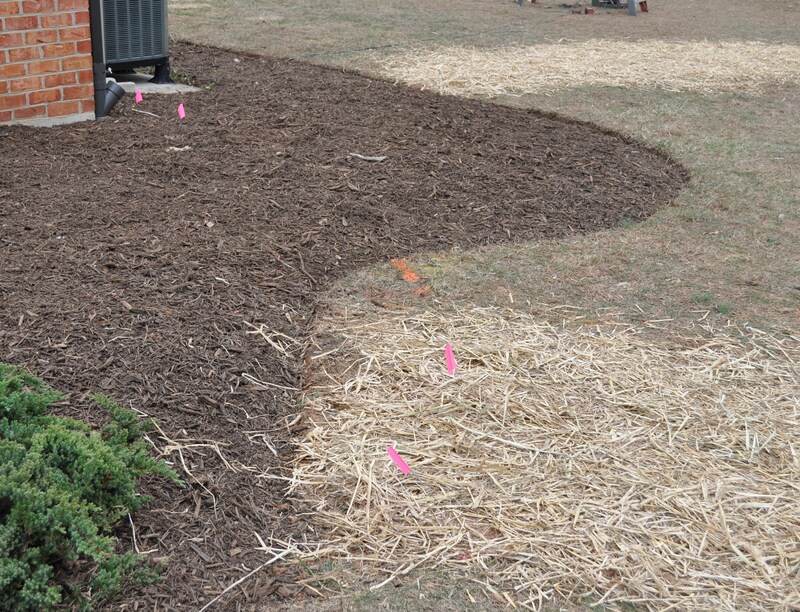 And we buried the downspouts to direct the water towards my evergreens and the pin oak. They even cleaned out my garden for me. In the next two weeks we will be tilling the soil and I can start transplanting greens. 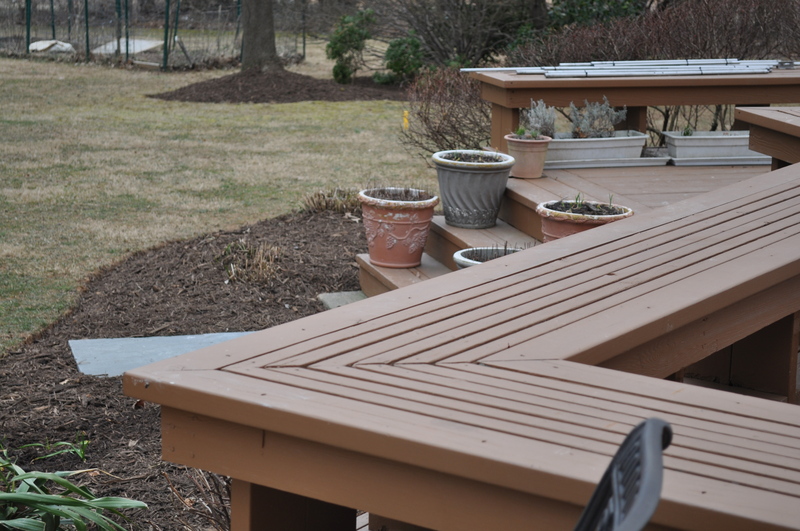 The greens will be split between the garden and the planters. I was out there looking today. The chives are coming back. The mint is peeking through and the garlic is fine. The flowers have started blooming. 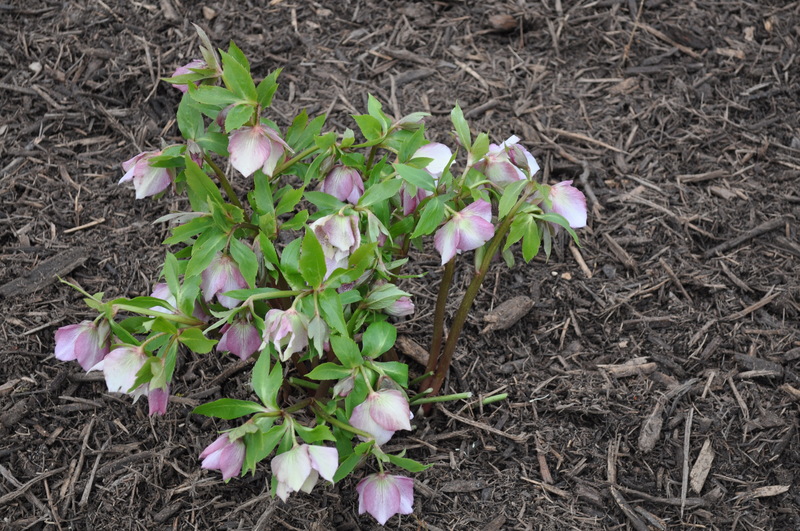 I believe these are hellebores. 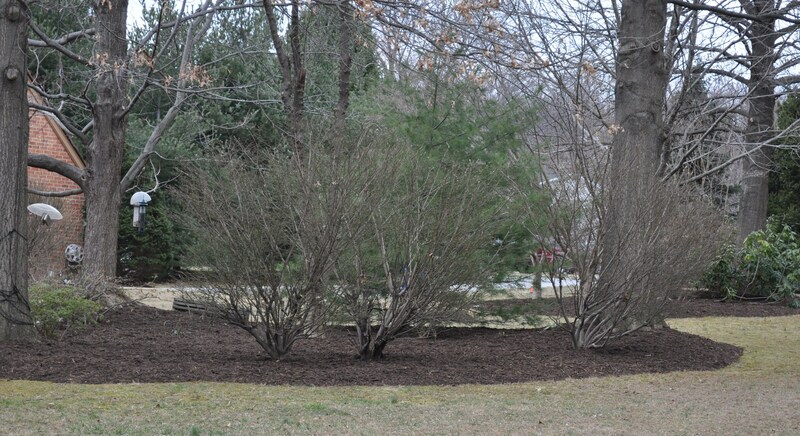 We have two plants, different colors that bloom early in the spring. The daffodils aren’t far behind. Spring is definitely getting here. Just have to make it through these last few cold slushy days. Posted in Gardening, Nature, Weather, West HoCo and tagged gardening, nature, spring flowers, weather, West HoCo. Bookmark the permalink. Looks fantastic! Our gardeners are coming out this week, I’m quite incapable of lifting this year…but I have to admit, having the help is worth it even if I could lift the mulch. 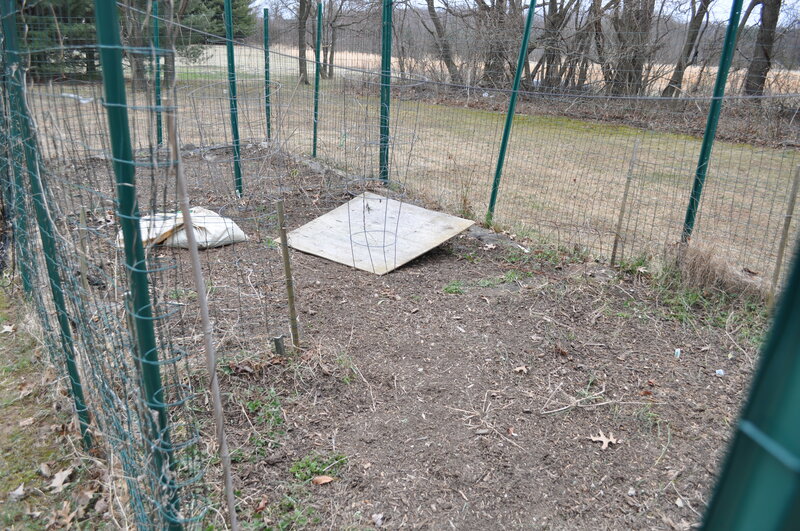 My mini daffies popped their heads out over the weekend….I’m ready for a bit more green.